Our team would love to plan an elegant birthday party, baby shower, bridal shower, engagement party, or dinner party. I'M THE FOUNDER AND CEO OF PAPILLONS ENTERTAINMENT + EVENTS. This is me making my finishing touches to the dessert table at an upscale princess party. The color palette was aqua, magenta, and violet with touches of gold. 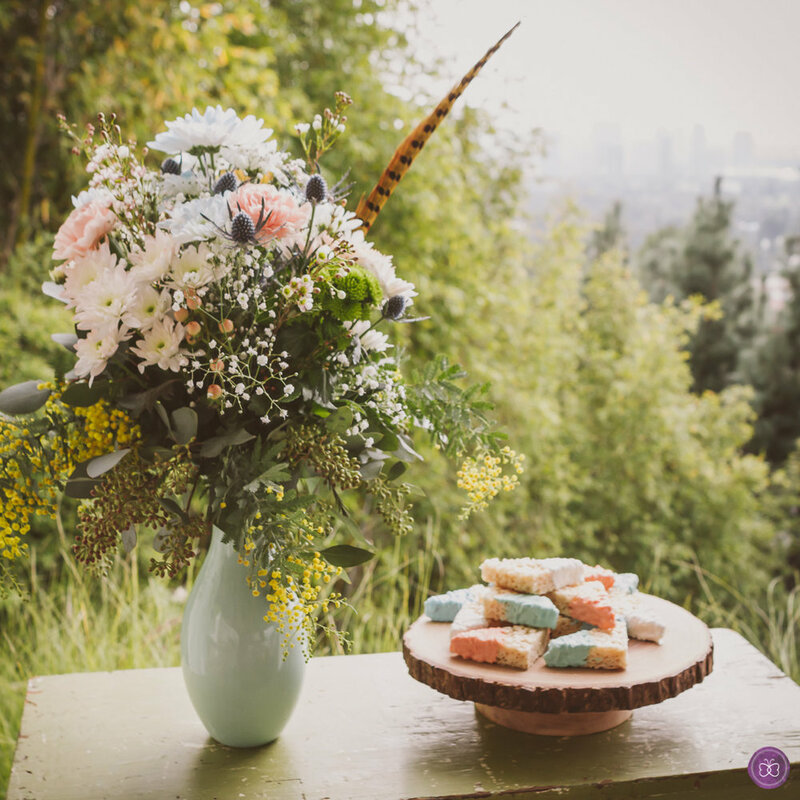 I was so in love with the florals our team designed for this event, and of course just look at that cake; t'was just as delicious as it was impressive. Photo by Jeff Drongowski. 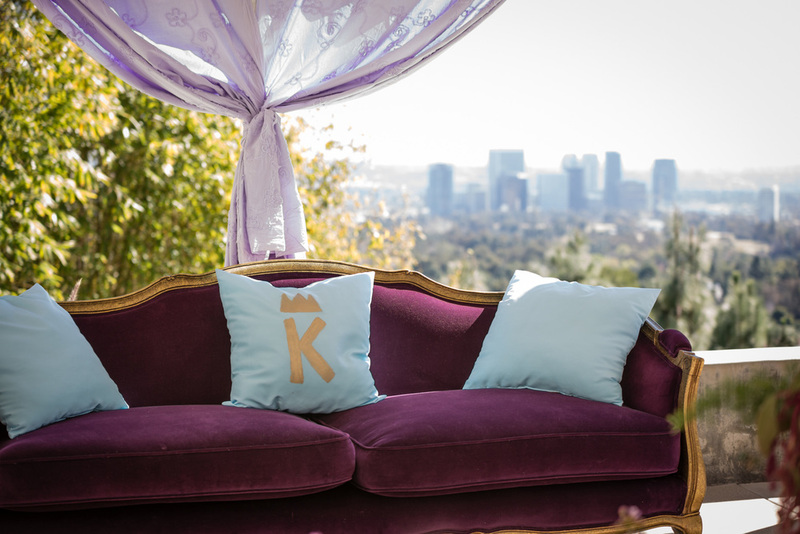 I'm an insured event designer and producer based in Los Angeles, CA with 10+ years experience. Whether I'm designing a grown-up dinner party or a child's birthday party, my purpose is to create a festive, immersive, elegant environment that will wow my client and their guests. You could say my style is equal parts whimsical + vintage, and I absolutely adore bringing a theme to life with authenticity and class. 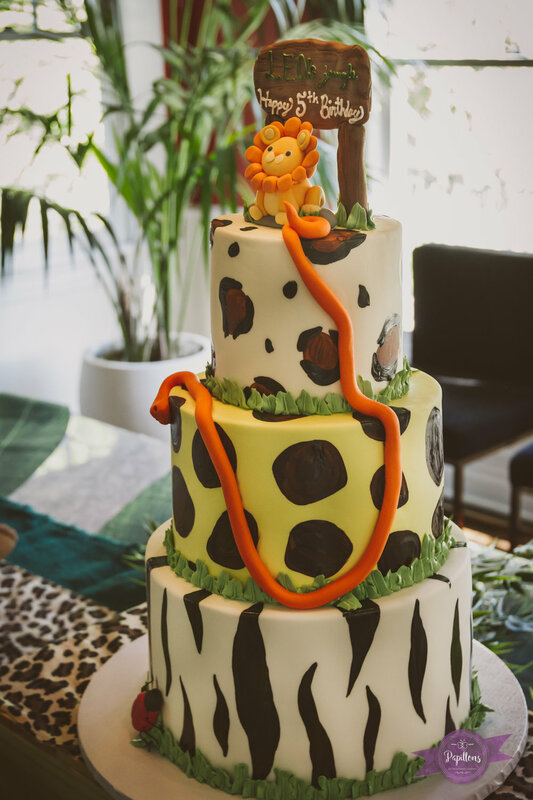 Custom cake by one of my preferred vendors, The French Confection Co. So you could just plan your party all by yourself, if you had the time (because let's face it, that's why you're looking for a party planner: it takes a ridiculous amount of time to plan the Pinterest party of your dreams). Or you could get a friend to help you, but since you're not paying them, it means that you're low on the priority totem pole (so who knows if everything will get done on time). I don't know about you, but I'd rather relax, and pay a professional who knows what they're doing, so that I can enjoy my own celebration. An excellent event planner will simplify your entire party experience; that's our job. My clients hire me because I allow them to be a guest at their own party. I have exquisite taste so they know they can trust my decisions (which means I'm not cheap: I won't hire low-end vendors and I don't do "paper plate" parties). Basically, I plan birthday parties like they're little weddings, because I believe birthdays are that important. Truthfully, anything you're celebrating is important to you, and your family, and your guests. Which means it's important to me, and it deserves thoughtfulness and attention-to-detail. And you deserve to eat the cake at your own party, gosh dangit! Dinner party in Beverly Hills for 22 guests planned and styled by Papillons. Bonus points go to the stunning view overlooking the city. What usually happens after I've planned my client's kiddo's birthday party, is that they will ask me "Do you do grown-up parties, too?" But of course! I am a grown-up, after all (sort of), and I just really like planning parties. Oh, hey, Jenna (you ask)... why is there no wedding planning on that list? In the interest of full disclosure, I have not yet planned a wedding, but that doesn't mean I'm not open to it. If you connect with my style (call it "classy with a vintage touch"), and you want to talk to me about me planning your wedding, I'm totally open to it. I mean, what an honor! At the end of the day, a wedding is a big party, and like I said, any kind of party is my kind of party. Birthday boy furiously attempts to "make a wish" and blow out the candles. Photo by, oh hey look at that... yours truly (Jenna Bryson). Do you want our team to take photos of your party? We can do that. 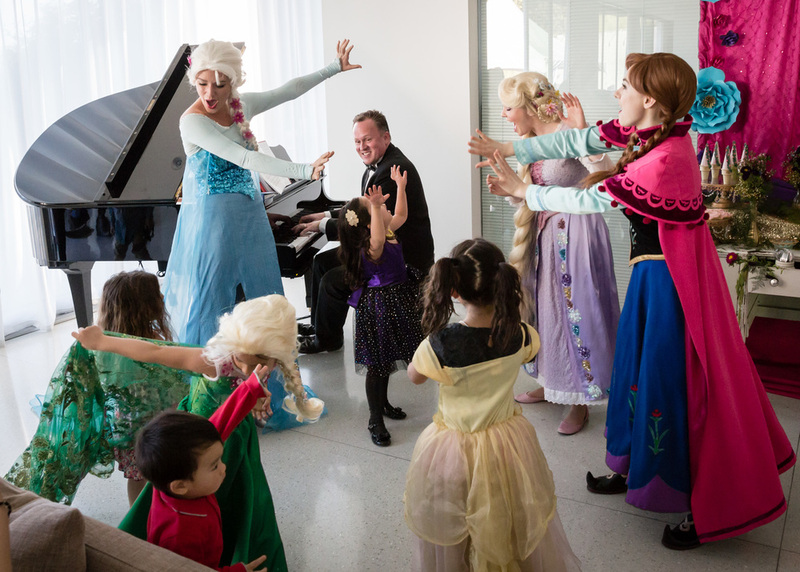 Want a concert pianist to serenade your guests on your grand piano? No problem! Looking for an improv troupe to make your guests laugh? Yes! We can do it! Pretty much whatever you can think of for your party we can make it happen (depending upon your budget, of course, because a fire-breathing stilt walker dressed like Marilyn Monroe is not going to be cheap). 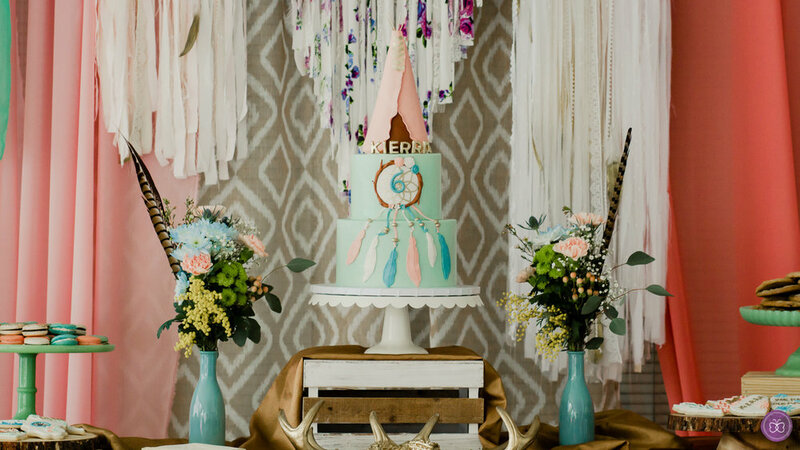 A boho chic party with it's own little tipi town for our client in Beverly Hills. There's that vintage touch. 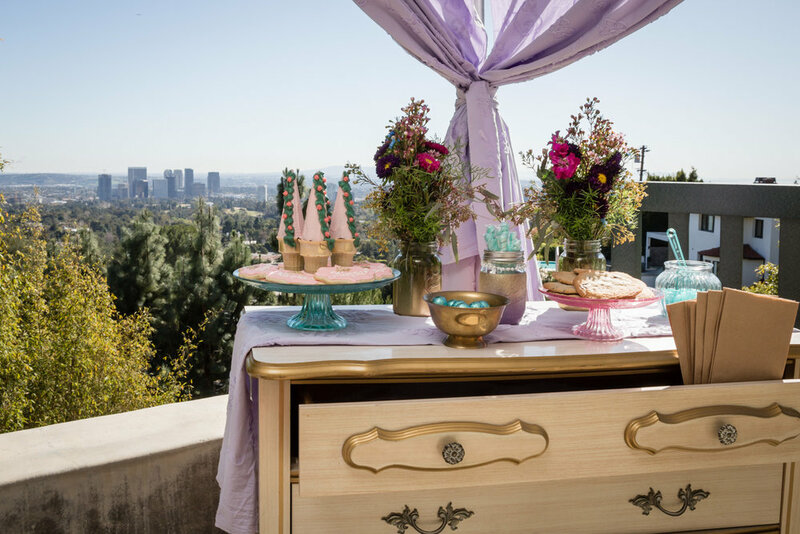 Props & styling by Papillons; furniture Circa Vintage; desserts The French Confection Co.; cake stands Minted & Vintage. MAY I GET YOU A GLASS OF WINE? OR, MY PARTY PLANNING PROCESS. I send you a brief questionnaire to get some basic info about your party. I do some basic research into your requests, and let you know if I can help. If I am able to help, we'll meet at your venue and I will present my ideas ($150 down-payment is required at this stage). If you like my ideas and we feel like a great fit together, I put together a contract. Hazaah! I reach out to vendors, submitting their proposals to you for your approval, and finalize the total budget. I will organize and send to you all contracts & payment invoices from both our team and outside vendors. I will determine the time-line of your event, confirm with you, and schedule all vendors & deliveries. Day before event, I will stress-out on your behalf and it'll be great. You will get a good night's sleep (I hope). Day of event, myself and at least one assistant coordinator will handle all vendor arrivals, deliveries, styling, etc. I will ask you if I can get you a drink. Please have a glass of wine in my honor. My team will keep the party tidy, and at the end of the day, we'll clean & pack everything up for you. We'll probably hug (party planning can be a bonding experience), then we'll say our farewells. You'll collapse on the bed, but only because you partied so hard (thanks to your event planner, er, me). We strive for elegance in all that we do. Even the buffet. Your stomach says "mmmm" and your heart say "pretty!" What do you think? is it "let's do this" time? 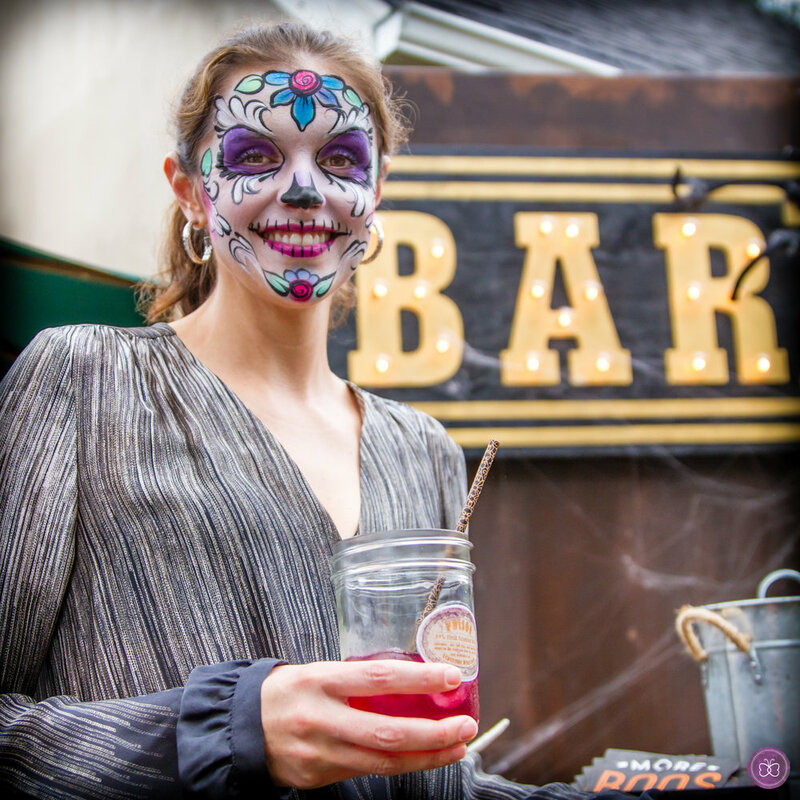 Fill out the form for a fun, beautiful, low-stress party planning experience. City (if not Los Angeles) or Los Angeles neighborhood. It's also helpful for us to know whether your event will be at a house, banquet room, or other type of venue. What are you celebrating? How can we help you? And if you have any ideas (such as theme, type of entertainment desired, etc.) please write it in here. Your message is fluttering over to our in-box. Please give us about 24 hours to respond.